Phew, between progress reports, parent-teacher conferences, and frantic attempts to cram as many groups as possible into our shortened minimum days, I completely managed to neglect this blog over the last few days. Now that Thanksgiving break is around the corner, things are finally calming down a bit. Time for an update! 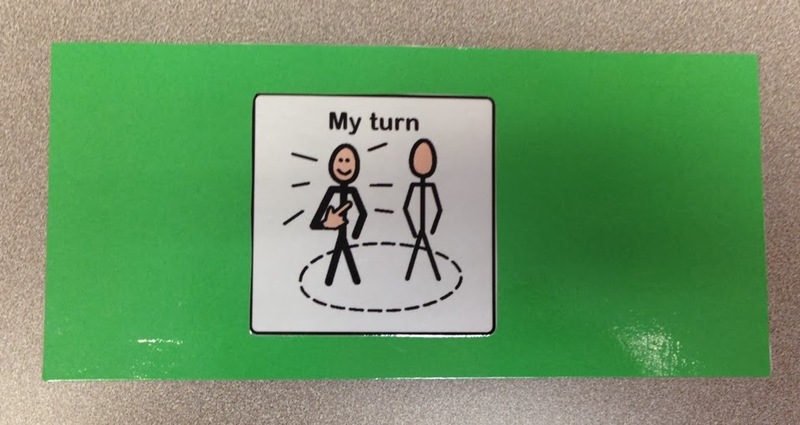 I thought I would write about a specific approach that I used with one of my lower functioning ASD students to teach play-based turn-taking skills. With the rise in children diagnosed with Autism Spectrum Disorders we all have students working on social goals. This is an area that most of us do not feel super comfortable with since there seems to be a distinct lack of instruction on this topic in graduate school. 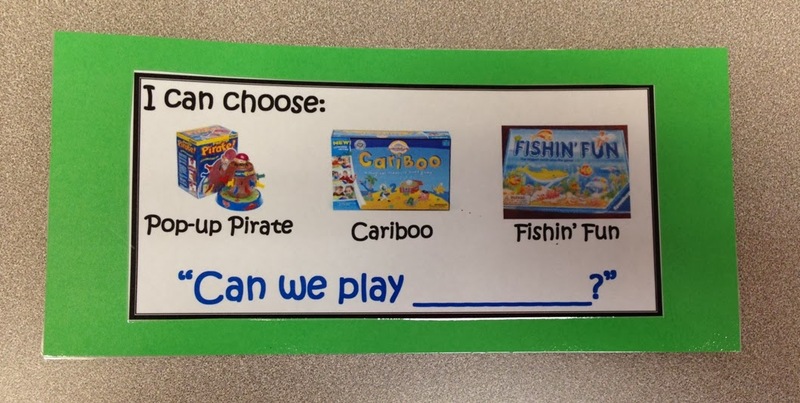 In addition, often parents want to see playground/recess-based goals, which aren't always appropriate. I think parents don't understand that this type of outdoor play is extremely unstructured and overwhelming -- it is my belief that these kids need to master the skill in a highly structured environment first before we can take it outside. Also, I don't make it out on the playground as often as I want to, which makes it difficult to work on these goals with the necessary rigor. 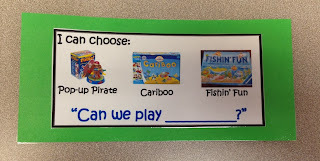 By (date), given an age-appropriate turn taking activity (i.e. 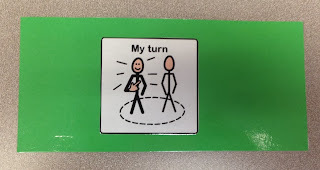 a board game) with a peer or staff member, (student) will initiate his turn and follow through with it, with visual prompts only, 4/5 trials, in a structured setting, as measured by SLP observation and tally.